Register - 10:00 a.m. 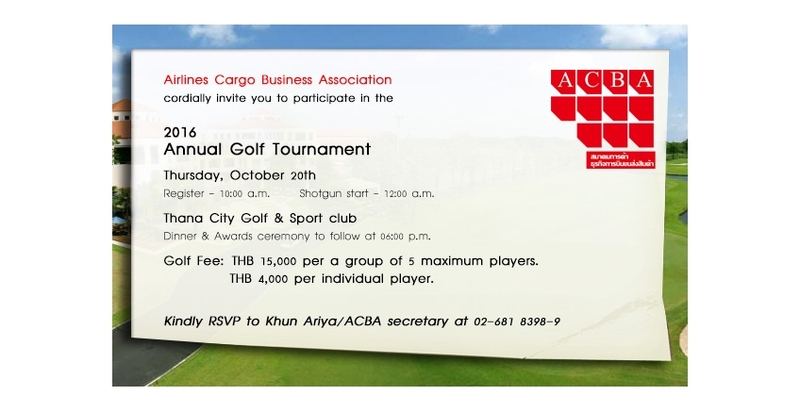 Shotgun start - 12:00 a.m.
Dinner & Awards ceremony to follow at 06:00 p.m.
THB 15,000 per a group of 5 maximum players. THB 4,000 per individual player. ACBA Bowling by Thai Star Surety Co., Ltd.